Well I’m back again after a long hiatus, for a bunch of blending cocktails! This week I’ll be posting a blended cocktail every day! 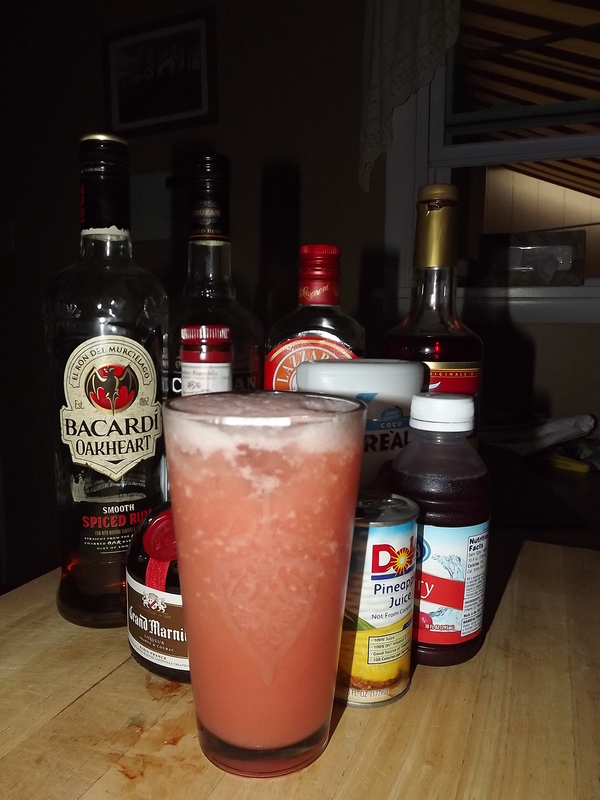 To start things off we’ve got a easy and fun drink to help you finish of your summer. The Meadow Snow’s official garnish of a cantaloupe cube, may not be in everyone’s regular bar stock, so you may want to substitute it with the more aromatic lemon peel as I did. the lemon peel makes for an amazing opening aroma as it mixes with the familiar fragrance of Midori. Like most blended cocktails it’s a sweet drink with a nice balance of a bit of sour as well that isn’t lost in the mixing process. 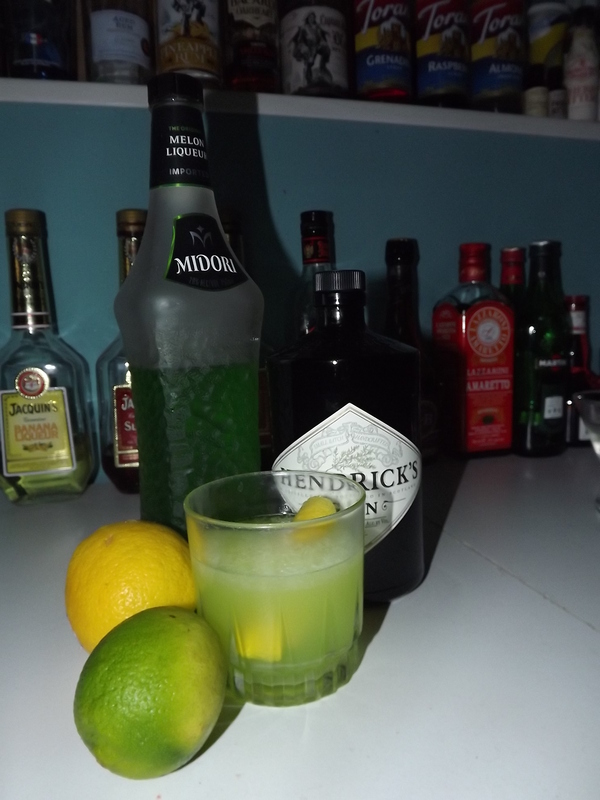 Mid-palette you’re hit with Midori and your finish up with a refreshing aftertaste of gin. I’ll leave it up to your tastes/wallet on whether or not to use a nice gin or a cheaper one. Combine liquid ingredients in a blender with ice. Pour into a lowball glass. Garnish and enjoy.